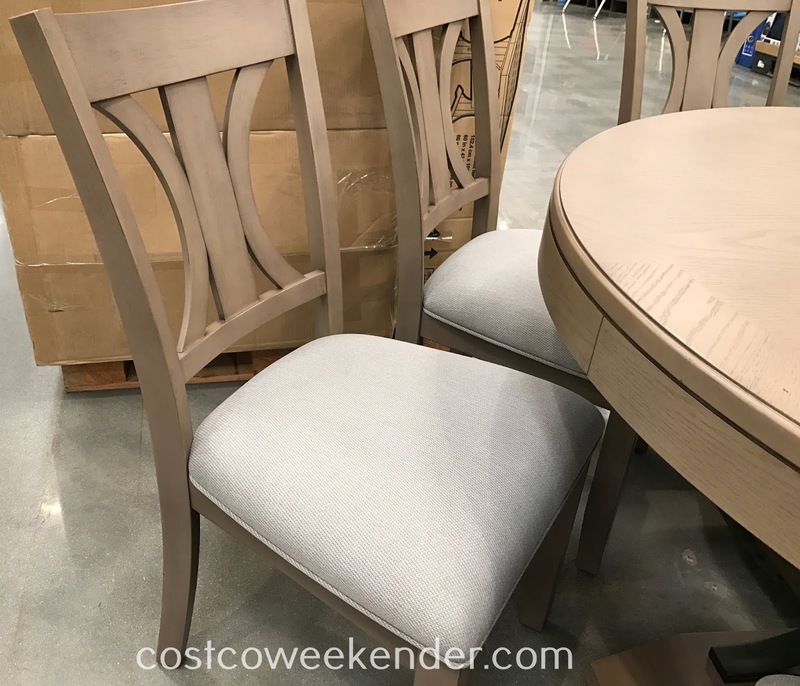 They say that getting together with your family for a meal is important since it allows you to talk to your kids and see what's going on in their lives versus being glued to a screen. 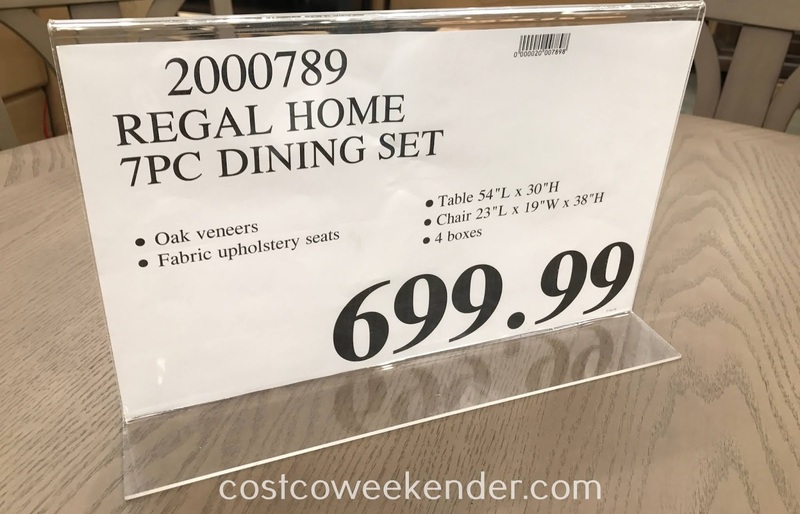 A good way to get your family together every evening is to have a good dining set like the Regal Home 7-piece Dining Set from Costco. It can seat up to 6 people, so that there's plenty of seating for your family and maybe a guest or two. 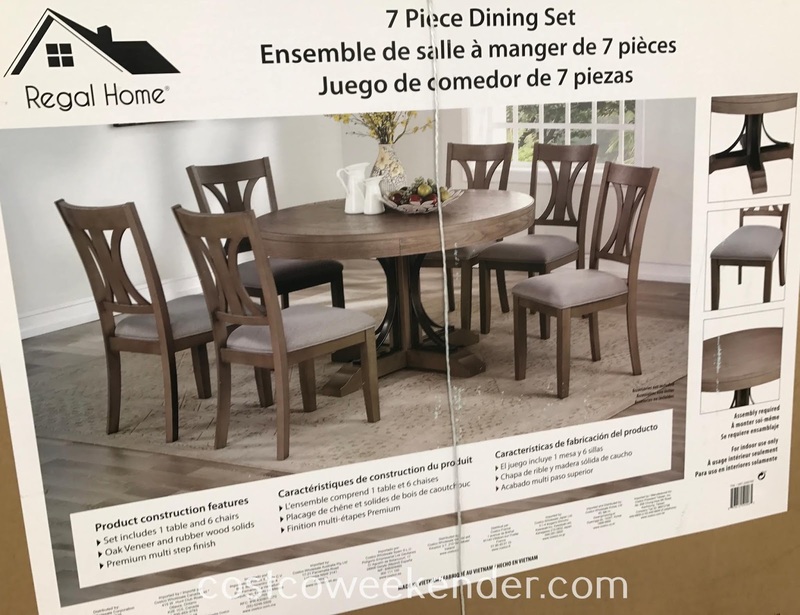 You hardly ever see a dining set where the dining table is round and can accommodate 6 people. Most of the time, these round dining tables can hold only up to 4 people. 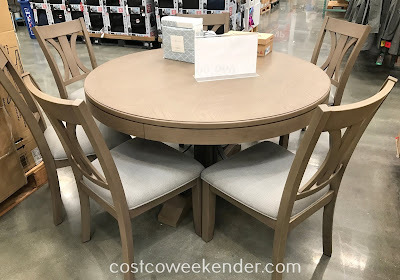 This is great if your dining room is oddly shaped that a rectangular or ovular dining table just wouldn't look right. 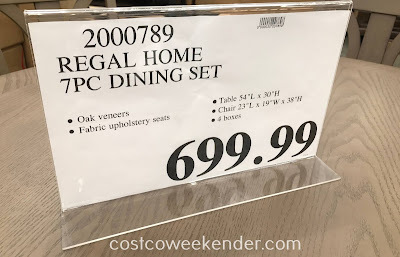 If you're looking for a good dining set for your home, then check out the Regal Home 7-piece Dining Set.